and built many wonderful relationships along the way. Deane is the founding practice partner with Louise Mason. 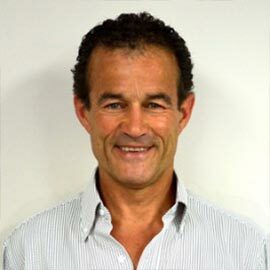 He has over 30 years experience in sports, musculoskeletal, occupational and general physiotherapy. 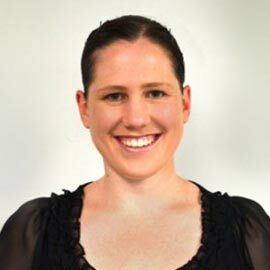 Graduating with a Bachelor of Applied Science in Physiotherapy from the South Australian Institute of Technology in 1985, Deane has an extensive experience in Endurance Sports, Football and Gymnastics. He is a past national team member of Triathlon Australia, Welsh Triathlon team and a South Australian state cycling champion, as well as history as a player, coach (Asian B licence) and physio in football (Soccer) and has been an advisor to the SA high performance Swim squad and an accredited provider for the South Australian Sports Institute. Deane began working with the Football Federation Australia in 2007 and has filled the roles of both Strength and Conditioning coach and Physiotherapist for the Men’s U17 Joeys, Futsal, U23 Olyroos, and is the current lead Physio with the U20 Young Socceroos program – being awarded a Diploma in Football Medicine by FIFA in 2017. He has been a team Physio at 12 Asian Football Championships, 6 Asean Football Championships and 3 FIFA World Cups, and is the current consultant Physiotherapist for Gymnastics South Australia overseeing the high performance men’s and women’s programs. Deane has a passion for the early recognition of dysfunction / injury / movement disorders and their relationship with load management. He enjoys keeping healthy bodies moving without time away from sport or work. In his spare time he enjoys keeping himself fit and healthy in both body and mind. 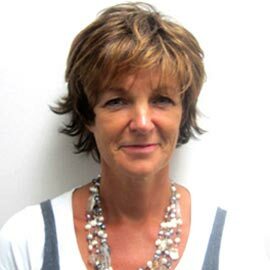 Louise is the founding practise partner with Deane Stephens, and has over 30 years of experience in musculoskeletal, occupational and general physiotherapy as well as having a keen interest in treatment of the older patient and encouraging ageing actively. Graduating from Manchester England in 1982, and immigrated to Adelaide in 1988, Louise played county hockey and tennis while in England, and on arrival in Australia competed in pennant squash and now continues that interest with Masters Squash as well as being an active gym member and keen walker. Louise lectures at not-for-profit organisation Active Ageing Australia, providing carers with medically based reasons to encourage all their clients to remain active as they age, and safe exercises to help them achieve this. 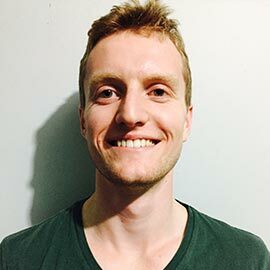 Alex is a passionate physiotherapist who qualified in 2016 from Adelaide University. 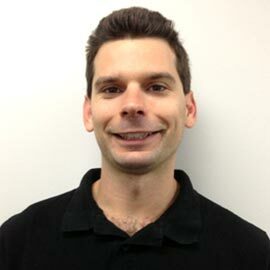 Alex has a special interest in Sports Physiotherapy as well as general musculoskeletal injuries and impairment. He utilizes hands on manual therapy and exercise prescription to provide a holistic approach to his treatments. Alex has experience working with elite level sporting programs. He has worked with South Adelaide Football Club U16’s and U18’s. He has also worked as physiotherapist for the South Adelaide Women’s Football team. When not working Alex is a keen footballer and plays local A grade f football for The Cove Football Club following some experience with the Glenelg and South Adelaide Football Clubs. He also enjoys relaxing with a movie or a good video game. Simply call us using the link below. If you would like some more information, check out our services or contact us via email and we'll respond as soon as we can.